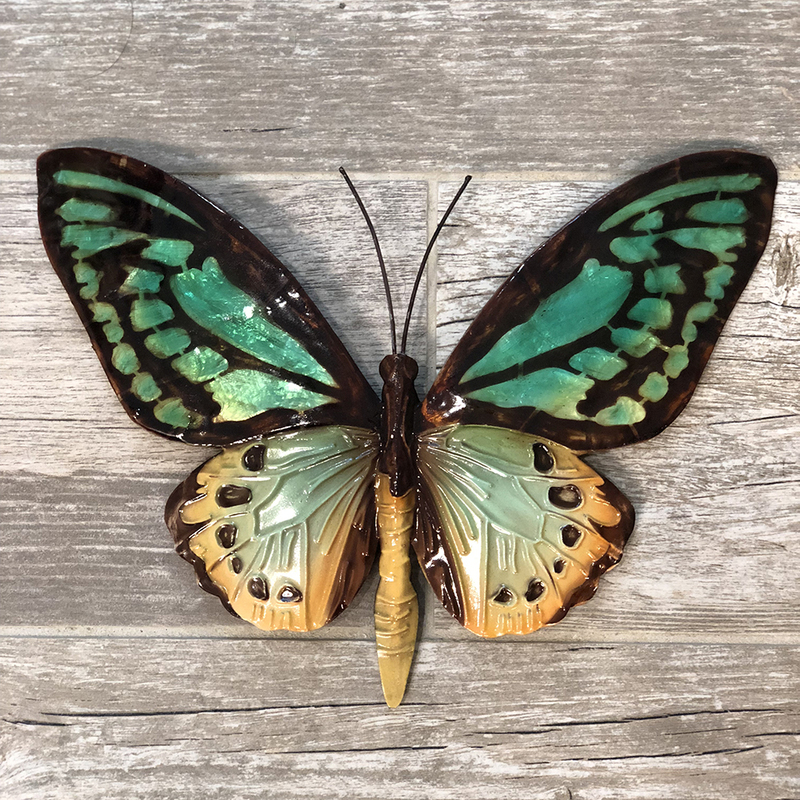 The aqua color of this butterfly and the capiz shell complement each other in such a way that it almost looks like one is looking at cobalt glass. This color is accentuated by the copper tone bordering the aqua centers. This is truly an impressive piece combining natural materials and colors and creating something breathtaking. 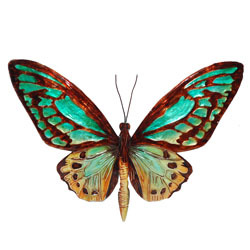 The upper wing adorned in capiz is contrasted by the handcrafted metal lower wing. Both components meld together for a piece that showcases the artists talents.